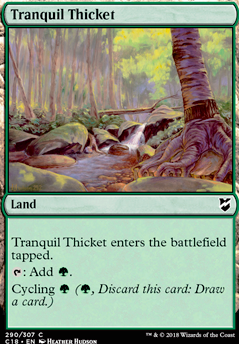 Tranquil Thicket enters the battlefield tapped. 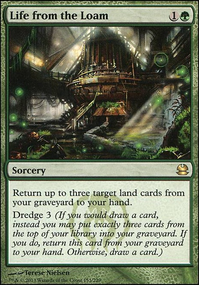 Tranquil Thicket and other cycling lands are best used in Golgari/Sultai strategies in the presence of Life from the Loam so long as you have the mana to keep the dredge combo going. 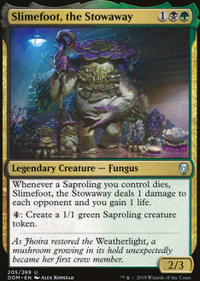 Probably not for this deck. Scavenger Grounds is really good, but it can hurt to hit yourself with it. 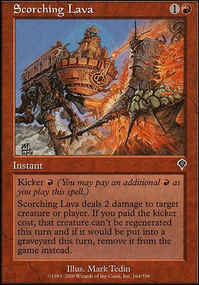 Could be a meta call include. Arcane Lighthouse isn't largely necessary in a build like this. My personal input for this Blighted Woodland discussion is that the marginal difference is so slim that I don't think you would notice any major difference if you placed a forest in over it. It just comes down to your preference, so if you feel like it's a nice addition to the deck then by all means keep it. 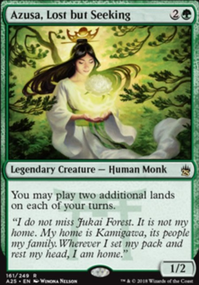 It's your deck after all, I don't think a forest would make an impactful enough difference aside from making green mana to warrant the slot. Tranquil Thicket : it is so meh to me, but it could be an outlet. 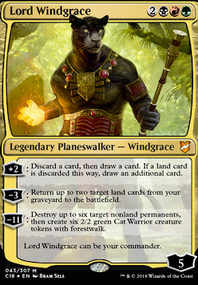 Scavenger Grounds : pretty neat, though I wish it was asymmetrical. Terrified of exiling my own stuff. On the other hand I would feel less inclined to have Scavenging Ooze . Arcane Lighthouse : I've never actually actually felt the neat for this effect. 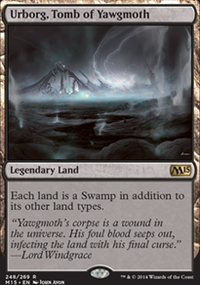 What about a cycling land like Tranquil Thicket , or some graveyard hate in Scavenger Grounds , or Arcane Lighthouse to get around shroud/hexproof as possible replacements? You can consider adding in The Gitrog Monster as well as Underrealm Lich for some sick synergy. 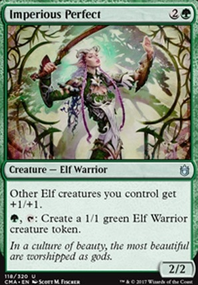 Also Tranquil Thicket and Barren Moor gives you more dredge plays that goes super sweet with Life from the Loam . Highly recommend also Entomb since it got recently reprinted and should be pretty cheap to pick up.